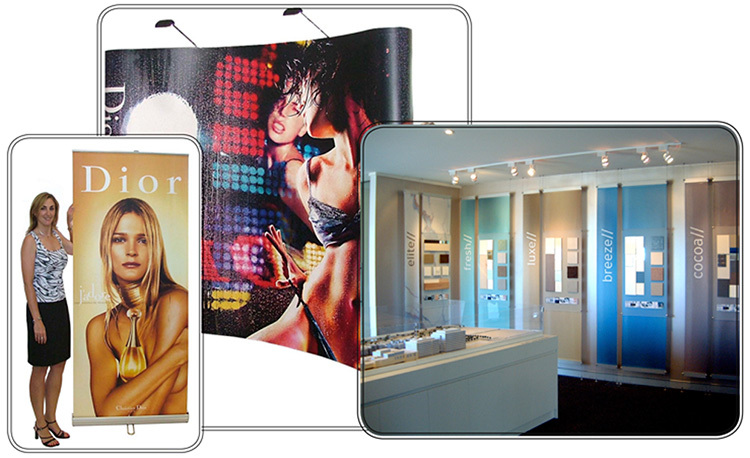 While the Roll-Up displays and Pop-Ups are extremely popular and easy to transport and store, we also produce custom displays, suitable for showrooms, reatail, museums and education. From small counter top showcards, right through to a complete graphic and signage fit out for a university or airport. We have the solution for you. Download Pop-Up Display spec sheet pdf here. Download Quick Roll-Up spec sheet pdf here. Download Premium Roll-Up spec sheet pdf here.